Potatoes are one of the most common and enjoyed vegetables in the world. Aside eating, potatoes can be used for many other things you might not have guessed was possible. Jumia Travel, the leading online travel agency, shares five interesting things you can do with potatoes. Potato contains oxalic acid which helps to dissolve rust. If you want to remove rust spots on something like a knife, simply insert the knife in the potato and let it sit for a while or cut the potato in half and rub the cut portion over the rusty area, then use a wire scrub on the area. It will go a long way in helping to remove the rust. To tackle larger rusted surface, sprinkle baking powder on the cut portion of a potato or dip in dish soap, and scrub the rusted area with it. Simply slice a potato, set aside two slices, place each slice on one eye and keep them on your eyes for about twenty minutes. Repeat this process regularly and you will eventually see a noticeable change. 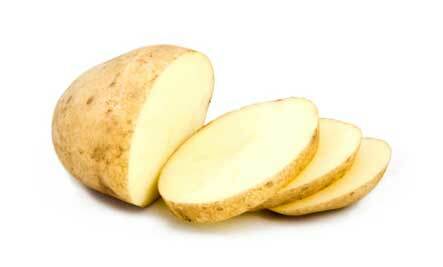 Potatoes can also help to remove dark circles or dark spots under the eyes as well. Rather than purchasing a can of expensive polish, why not use the water you’ve boiled some potatoes in. All you need to do is place the silverware in this water, after the potatoes have been removed from it of course, and let the silverware soak for twenty minutes or half an hour. Remove the silverware, wipe them properly and you’ll be left with sparkling silverware. Potatoes are great for helping to remove pimples, blackheads, oily skin and other common skin conditions because they contain essential nutrients and vitamins that help to clean the skin from the pores and remove future threats. You can slice a potato, rub it over the affected area and leave it on for a minute or two before gently rinsing off and patting down with a towel. You can also make a paste out of the potato by using a blender. You apply the paste on your face for about 15 minutes and then gently wash off. Potatoes have been used as a power source for quite a few inventions. Potatoes have a certain amount of energy that can be harnessed. A potato actually almost acts like a battery that powers, for some time, devices attached to it through a wire. You can use a wire to attach either a bulb or digital clock to a potato, and experiment using the potato to power these devices.